3D Mechanical design at affordable prices. 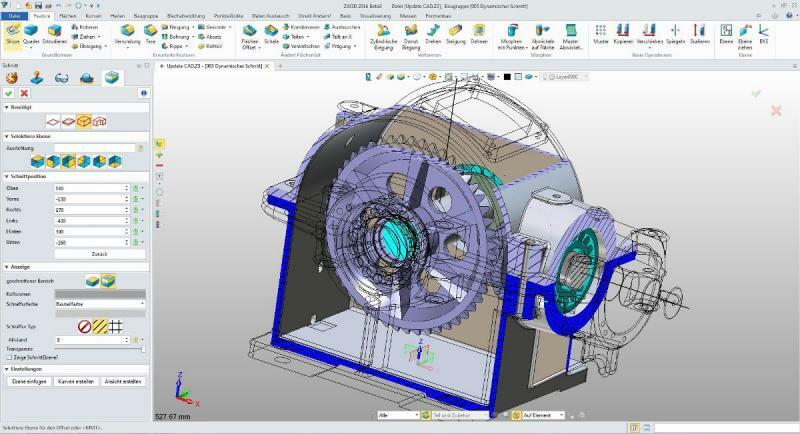 CADDIT's exclusive ZW3D Personal Edition now allows you to read SolidWorks files at less than a tenth the cost of SolidWorks, edit them directly, and much more..
What is ZW3D Personal? Powerful Low cost commercial license CAD system for both business and private use. ZW3D offers powerful 3D mechanical design tools normally costing thousands more. ZW3D includes fully functional parametric sketch, part and assembly design, flexible IMPORT / EXPORT, direct editing of imported designs (very powerful), 2D drafting and PMI all included. ZW3D Personal is an offordable option for mechanical design of industrial components, equipment, aftermarket customs, fixtures, fitous, furniture and general product design. Training documentation also included. ZW3D Personal is specially packaged for Australia, exclusively available from CADDIT and cannot be purchased outside of Australia. ZW3D Personal Edition does not include CNC machining or CNC modules. Please inquire for pricing on these affordable options. For support options below, users who choose "One Year Upgrade Support" will be entitled to at least one major release upgrade, as well as private email support for a one-year period. License sent via email; download software now.